There is no denying that traveling by air is a fast and efficient mode of travel, and while airplane accidents are rare, when they do happen the consequences usually involve serious injuries and some amount of death. Figuring out what went wrong and who is responsible for an accident falls to local and federal regulators to determine, typically led by the National Transportation Safety Board (NTSB). However, beyond evaluating why an accident happened, injured passengers and the families of individuals killed may have a personal injury negligence claim against an airline, airport or equipment manufacturer. Former Major League pitcher Roy Halladay was recently killed in a plane crash while piloting a small two-seater plane off the coast of New Port Richey. Most travelers rely on others to pilot the aircraft and use commercial carriers to conduct air travel, so the number of potentially responsible parties can be quite complex to ascertain. Determining the cause of an airplane accident is a complicated process that can take years to complete depending upon the circumstances of the crash, and an injured victim needs an experienced and dedicated attorney to thoroughly pursue the at-fault parties for just compensation. An overview of some key components that govern liability claims in airplane accident cases will follow below. What Is Considered an Aviation Accident? the aircraft goes missing or loses contact with ground support. 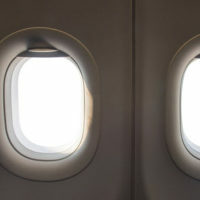 The operation of the aircraft includes the entire time between when the crew or passengers board the plane with the intention of flying, until the last person, including crew, is off. Injuries from a plane accident are rarely minor, and you need the help of an experienced personal injury attorney to get the compensation you deserve. The attorneys at the Miami law firm of Pita Weber Del Prado know how to do their own review of an airplane crash, and when to bring in experts to strengthen the foundation of an injury claim. Contact us for a free consultation.